Nov. 28, 2018 (Lincolnshire, Ill.) – Klein Tools (www.kleintools.com), for professionals since 1857, introduces a 20:1 Dual-Laser Infrared Thermometer, which offers a wide measurement range, a tight distance-to-spot ratio, dual targeting lasers and several calculation modes. With the reliability needed to get the job done right, this new jobsite essential enables accurate temperature measurements on inconvenient-to-reach smaller objects at distance. “When professionals rely on a durable, dependable, rugged instrument to deliver accurate temperature measurements as part of their day-to-day responsibilities, it is crucial that they are equipped with the right tools for the job,” says Sean O’ Flaherty, director of product management at Klein Tools. 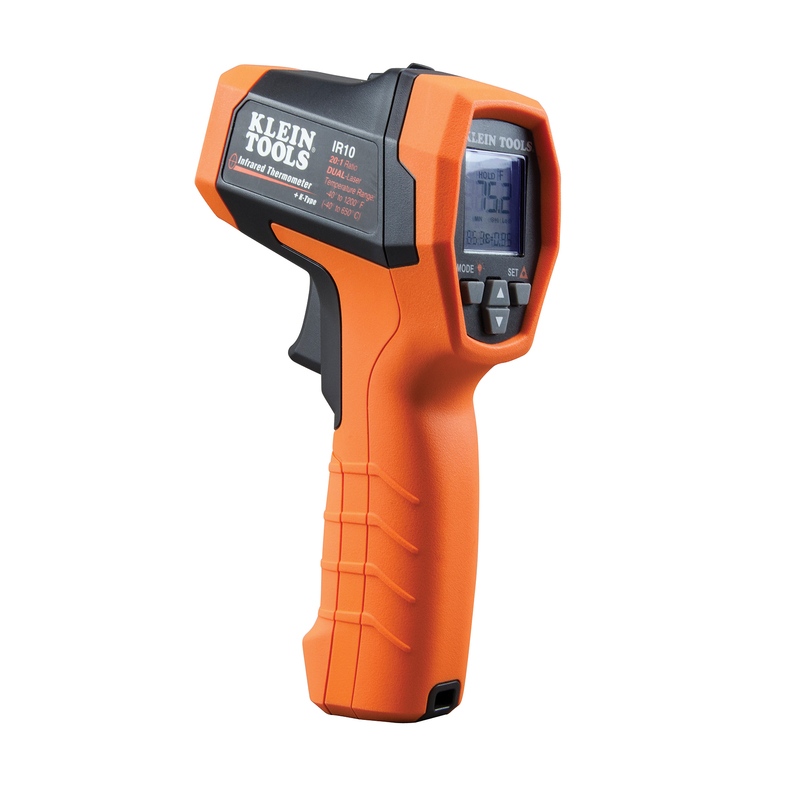 “Klein Tools’ new 20:1 Dual-Laser Infrared Thermometer enables accurate IR measurements of surface temperatures, and bulk temperatures of air, gas or liquids with standard K-Type probe, with a wide measurement range that makes it the perfect tool for use across various jobsites day-in and day-out.